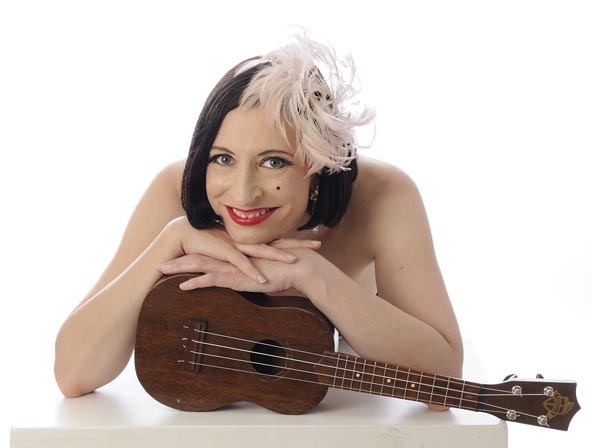 I was recently lucky enough to interview Tricity Vogue, ukulele player, and producer and host of the Ukelele Cabaret. 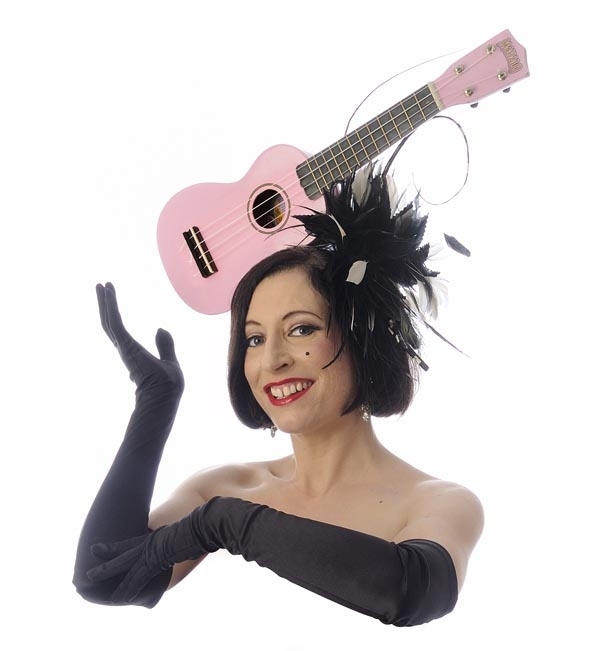 Tricity Vogue took up the uke in 2007 and wanted to recreate the Big Band sound single-handed after her musicians stood her up for a gig. Tricity set up the 'Ukelele Cabaret' shortly afterwards for fellow lovers of the uke – it's an impromptu night of special guests, open mic spots and group singalongs, held every month at the Lincoln Lounge, Kings Cross. She has since played in many, many places, both throughout the UK and in Europe, including the world famous Edinburgh Fringe. In recent times she has played uke for Ravi Shankar too! So, tell me when you started running your Ukelele Cabaret events? I organised the first Ukelele Cabaret at the Lincoln Lounge in Kings Cross, London, as part of the Eurostar and St Pancras launch celebrations. It was originally going to be a one-off event, but it was so much fun we decided to do it again. That was over three years ago, back in November 2007. The Ukelele Cabaret has been a monthly fixture at the Lincoln Lounge ever since. I'd actually only been playing the ukulele six months myself when I organized the first event but I'd been bitten hard by the uke bug, and was really excited about how accessible and fun the instrument was. My two friends who taught me my first ukulele chords performed at the first show with me (Lana Shelley and Rosa Conrad). Now we have a close harmony ukulele group called the 'Mange Tout Mamas'. We don't get to perform much together right now because both Lana and Rosa have small babies (which also makes rehearsing a bit hit-and-miss). We've got some dates in the diary though, and I've got a feeling we'll be playing ukulele and singing together for years to come, through all the ups and downs of our lives. The ukulele is good for that: it stays with you through thick and thin. Sorry to pick you up on this, but are you sure about the spelling of “Ukelele” in the title of your Cabaret? Aha, the 'ukulele' versus 'ukelele' debate! Ukelele is actually a valid spelling. 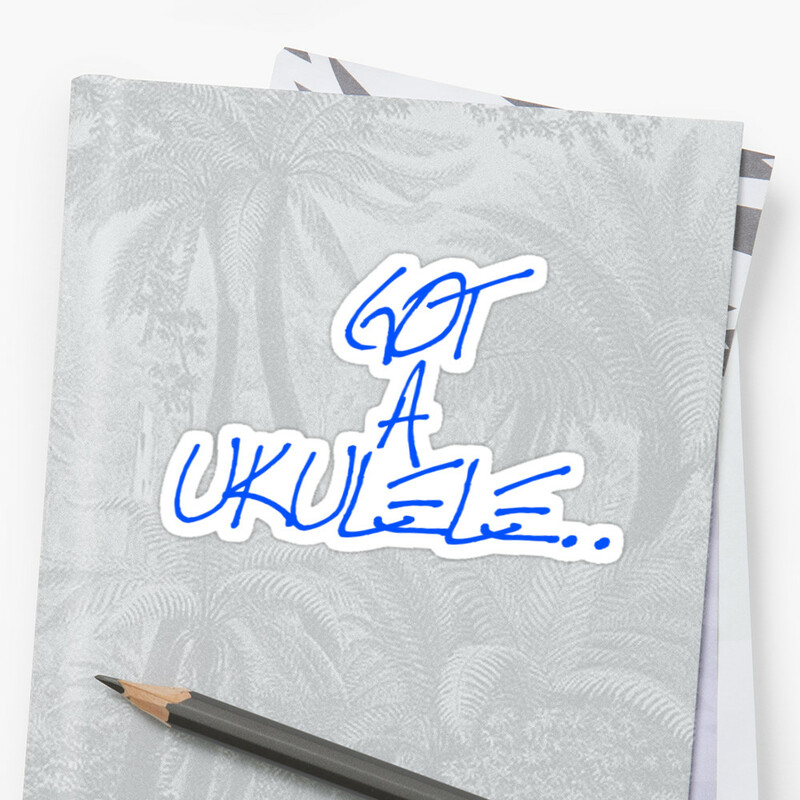 I always thought ukelele abbreviated more logically to uke, but I gradually became aware that my spelling of the instrument was the minority one, so I'm slowly and reluctantly giving it up. 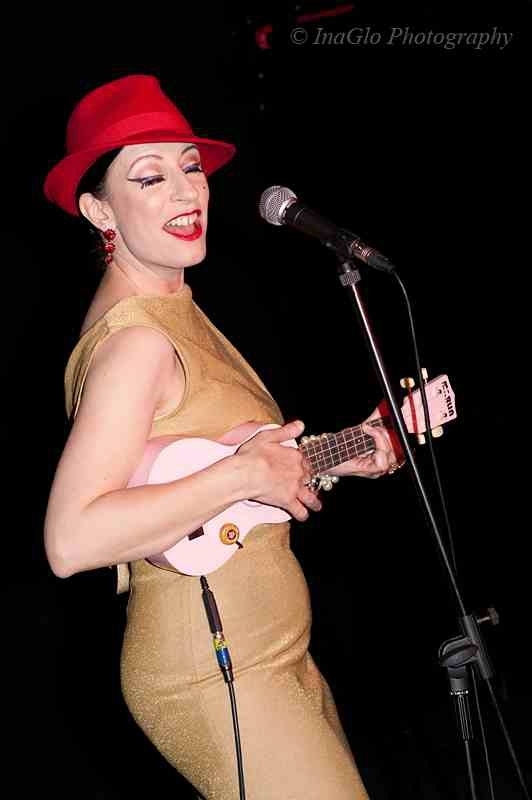 I was a bit of a ukulele ingenue when I started out, and I called my night 'Ukelele Cabaret' so I could have a myspace page, since there was already a 'Ukulele Cabaret’ (with the double U) in New York. It never occurred to me back then that we'd run for so long, or that our profile would get big enough it would actually reach the ears of the uke cabaret people in New York. They didn't exactly have a go about the name overlap, although they did ask me if I'd consider changing it but by that time we'd been going for too long at the Lincoln Lounge, and I had great poster artwork by illustrator Edward Ward including the name ‘Ukelele Cabaret’ that I didn’t want to give up. I've actually decided to change the spelling for the Edinburgh Fringe show, so this year it's going to be called 'Tricity Vogue's Ukulele Cabaret'. 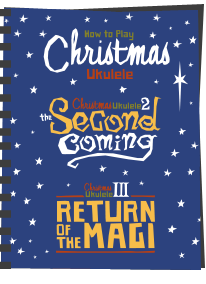 That hopefully means all the uke players will find it in the programme - and I'll actually find the show reviews online this year as well. 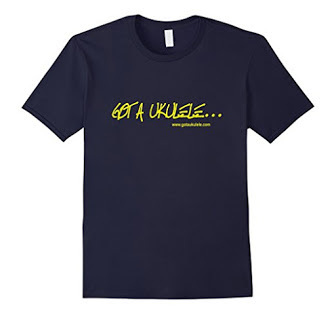 You must have some great memories – what are your best moments at the Ukelele Cabaret? There have been some incredible musical moments born out of impromptu collaborations, where people just jump on the mic and join in with stuff. One Uke Cabaret at the Edinburgh Festival we literally had ukulele with bells and whistles, because New York composer Sxip Shirey jumped in with his bicycle bells and swannee whistles to play along with the winners of the Uke of Edinburgh award. International visitors have made for some pretty special moments in Kings Cross too. Lionel K Hubert and U.K.E came over from Paris, and Hot Time Harv put in a cameo when he was over from NYC, which was a bit of a coup. But for me, one of my favourite shows ever was the night my Dad came to the Ukelele Cabaret in Kings Cross. Martin Wheatley was there that night (ukulele god!!) and I got him to play Girl From Ipanema. It's my dad's favourite tune, and I wanted Martin to play it so I could sing it for him, while the irresistible Lana Lovitt did a belly dance. I think it was actually a bit too much excitement for my dad: he was up all night doing crosswords because he couldn't sleep. He said he was proud of me for hosting a night that was so warm, welcoming, friendly and fun, and that made me really happy. I think the fact that he had a good night at my show means more to me than any star-studded review ever could. Why did you take up the ukulele in the first place? As I am sure you’ll agree, Barry, if you let a ukulele into your life you'll never regret it, whether you're already a musician or you've never played any instrument before. I try and get at least one new player to pick up a ukulele and have a go at every one of my shows. 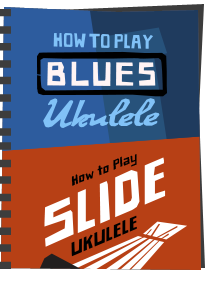 I’m a ukulele evangelist. The point is for people to discover how easy it is to get a sound out if a uke, and how satisfying it is to join in with a whole roomful of people playing and singing together. That's a common thing that many uke players say to me. 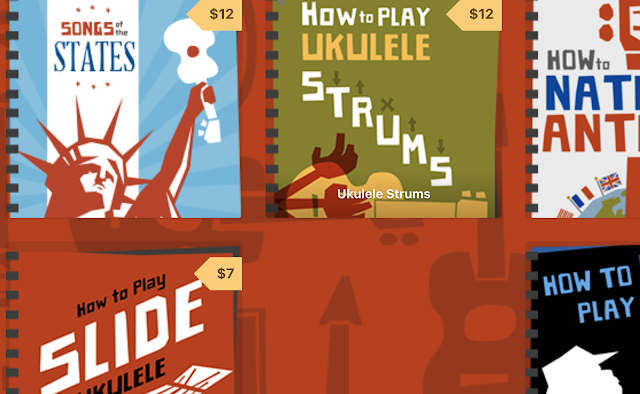 Why does it matter to you to get people to play ukulele? Because when I was young, I felt very intimated by the world of musicians, so much so that it took me many years to discover my own musicality, and many more before I'd come out of my bedroom and actually play and sing in front of anyone else. I was a professional jazz singer for about 12 years before I learned to play ukulele, and the uke has transformed my musical life, because now when I sing with a band on stage I don't follow them, I lead them. And I no longer feel intimidated by their superior musicianship because I believe that the simplicity and directness of my little four stringed instrument is strong enough to lead the way clearly in any song, even a complex jazz standard. 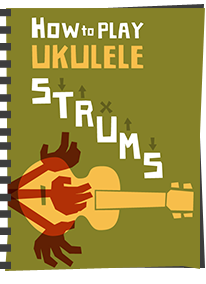 A ukulele can pare down any tune to its essentials, so that it makes sense to you as a singer and a musician. Then you can start building the song again, from its skeleton up. Also, thanks to the ukulele, I've met so many exciting collaborators, both singers and musicians, who've absolutely transformed my creative life. All the best people play ukulele, in my totally biased opinion. It's what it stands for - bravery and simplicity. It's not an instrument you can hide behind. For people who love music, it's seductive and addictive. Of course I want to share that. You must come across people, as I do, who like to “knock” the ukulele? Yes, some people just don't get it. A lot of musicians I've worked with just find it discordant and ugly. I get so many jokes cracked about the fact that there's no point tuning up because it doesn't make any difference anyway, etcetera etcetera. It's like looking at one of those magic 3D pictures - some people just can't see what everybody else is getting excited about. Admittedly listening to a first time player practising can be a bit wearing to a non-player, but it’s a lot less painful on the ear than listening to a novice on violin or brass. And some people won't go there because they don't want to follow the herd. But uke players are a bit too diverse a bunch to be accused of herd instinct, I think. Often they can be downright anarchic, in their own charming, offbeat way. Don't knock it until you've tried it, I'd say. So, what about the future - where do you hope to be in five years? Tricity's website, providing details to her apperances, CD's and much more can be found at http://tricityvogue.com/, and you can also find her on Facebook at http://www.facebook.com/tricity and on twitter as @tricityvogue. 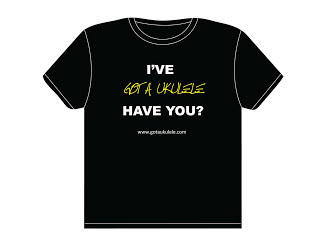 You can read my other Got A Ukulele Interviews HERE - If you are big in the world of uke and want to discuss featuring on this site - get in touch! It was through Tricity performing at the Edinburgh Fringe that got me into playing the Uku. I bought one in Feb 14 and have become absolutely hooked. Went back to the Fringe this year and joined with Tricity in her workshop. Can't thank her enough for getting me started with the Uku.